Honey production in Armenia reduced almost ten times in 2012 and amounted to about 100 tons because of the weather conditions. The past year was extremely unfavorable for the beekeepers. To compare, over the previous years the volume of honey production in Armenia was 1000 tons for year. The ability of bees to produce honey has been damaged by extensive use of pesticides in agriculture over the last several decades. With pesticide consumption increasing several folds during the last four decades, the side effects are also increasing and one of which is the toxicity to honey bees. Pesticides damage the ability of bees to gather food and are also killing them. Since bees are the most important pollinators of crops, the use of pesticides can considerably reduce the yield of cross pollinated crops. Other effects caused by pesticides on bees are contamination of bee products, and loss in production of honey. 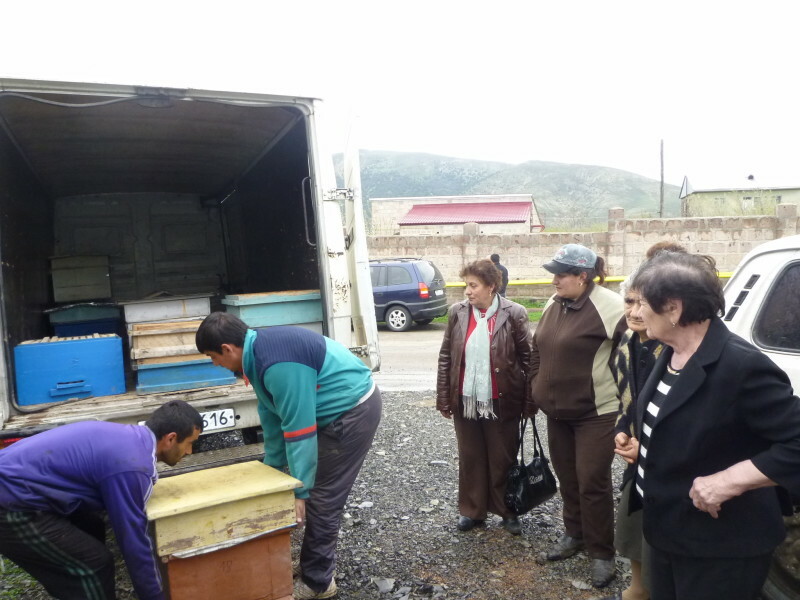 For the project implementation 10 beehives were purchased in Ijevan from the professional beekeeper. 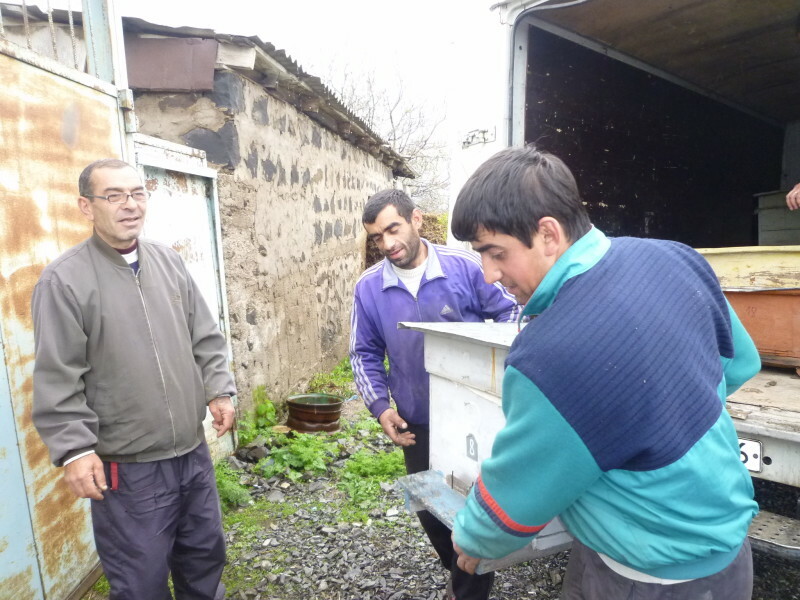 The additional 10 beehives were created by assistance of the Ijevan expert in Solak community. The beekeepers were provided with technical assistance on bee diseases management suggesting use of natural substances and techniques. 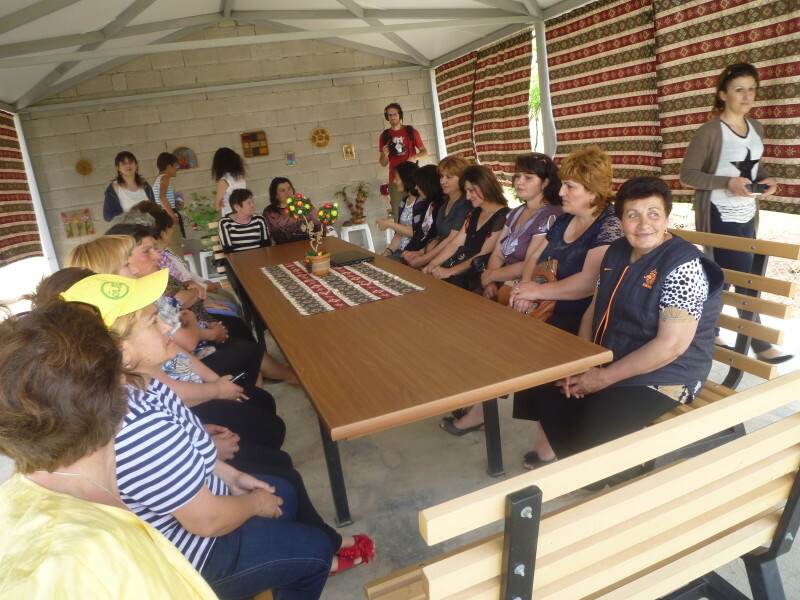 The targeted group of female farmers in Solak was successfully trained on proper beehive care in frame of the training ” Natural beekeeping” which was organized in 15 May 2015. AWHHE did a research on honey marketing on cash market and analyzed the honey prices in current year. The honey production was supported by AWHHE in two target communities and recipients get a good honey yield for their own usage and for sale. AWHHE with the expert assistance developed a mechanism of beehive development. Each farmer who received a beehive should develop one more and provide it to his neighbor. 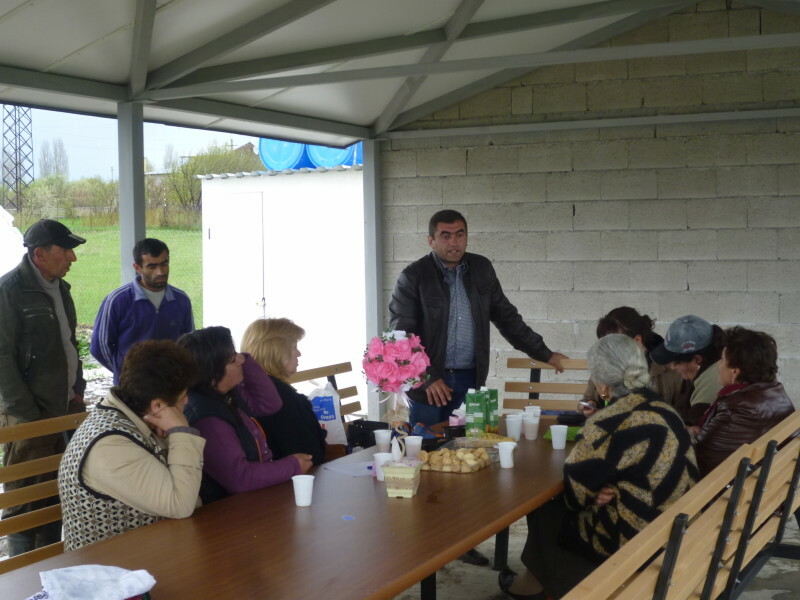 General rural population) of 2 villages in two regions Tavush, Kotayk. This project demonstrated the ability to produce the honey without usage of chemicals, in natural way. People understood the benefits of clean honey production. The awareness of farmers and rural people in general on bee diseases management using natural techniques was raised thanks to dissemination of the information and training. Sharing the project results raised interest among other farmers to engage in natural bee honey production due to visible potential to improve the economic situation of participating farmers. The town of Ijevan (Tavush region) and its surroundings is historically a relatively clean area where fewer pesticides and other agrochemicals have been used in agriculture, so it is possible not to damage honeybees. In Solak community (Kotayk region) there are non-chemicaly controlled fields and orchards where honey hives can be placed. This provides favorable conditions for promotion of pesticide-free ecologically clean (organic) apiculture in the above communities. Implementation of chemical free bee keeping contributes to maintaining and strengthening the safe environment. The majority of bee keeping recipients were women in two villages who thanks to this grant had the opportunity to get involved in economic activities as leaders of small initiatives: the women who had never dealt with bee keeping became interested in this issue and started their business. As a result the number of economically active women increased. The most important lesson learnt was the fact that a positive new experience (chemical free bee keeping) helped the farmers and local decision makers overcome distrust in beekeeping activities linked with loss of bees in the past. The farmers are very interested in a new techniques and methods of bee keeping business.